Garden Items, Gifts Items, Kitchen Items - Servistar Industrial Co., Ltd.
B. Main Business: Manufacture & Exporter, OEM, Inspection Agent. 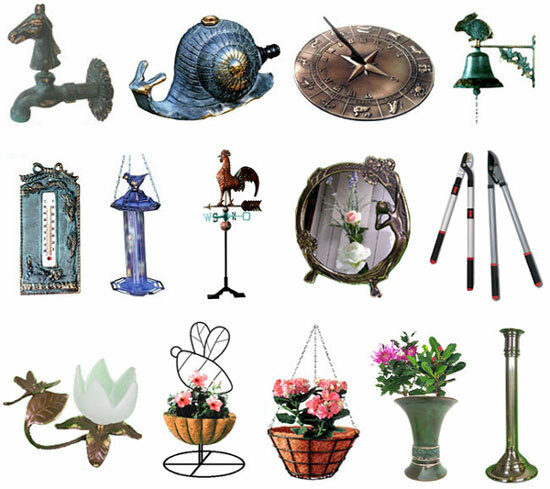 ** Brass Products In Taiwan: Garden Items (Hanging Bells, Sprinklers, Faucets, Sun Dials, Bird Feeders, Weathervanes...), Gifts Items (Candle Holders, Mirrors, Flower Pots, Gifts...). ** Steel Wire Products In Vietnam: Garden Item (hanging Planters W / Coconut Liner, Wall Planters, Flower Stand...), Kitchen Items.